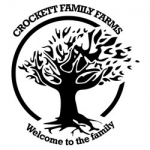 Crockett Family Farms - Crocketts Dawg. Free US delivery. Crocketts Dawg smells of guava, grape, and Og kush. Plants are a medium height with a uniform structure. Good yield of top quality flowers. A dream to grow, inside and out.